Donde Te Encuentro (Where I Find You) features all 12 powerful songs from Where I Find You recorded entirely in Spanish including the current hit radio single “We Are ” that Kari describes as a “song of commission for us as believers to be reminded of what we’ve been called to and that is to impact people’s lives in everything we do.” Kari currently leads worship at Gateway Church (Southlake TX) as well as leading worship at conferences across the country and around the world. Kicking off in January Kari will be on Christian music’s biggest tour playing over 45 shows and wrapping up in April. 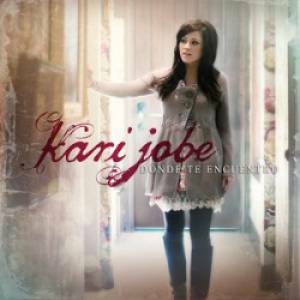 Where I Find You (spanish) by Kari Jobe was published by EMI in May 2012 and is our 24097th best seller. The ISBN for Where I Find You (spanish) is 5099901083521. Be the first to review Where I Find You (spanish)! Got a question? No problem! Just click here to ask us about Where I Find You (spanish). Are the songs on this cd sung in Spanish? A:I hope that answers your query and thanks for using the Q&A Forum .